Stamped concrete which is also sometimes called decorative, colored, textured or imprinted concrete is concrete that imitates stones such as slate, flagstone, brick, tile and many other textures. Stamped Concrete is the perfect solution to make your pool deck, patio, driveway, porch or walkway in New Jersey stand out from the rest. 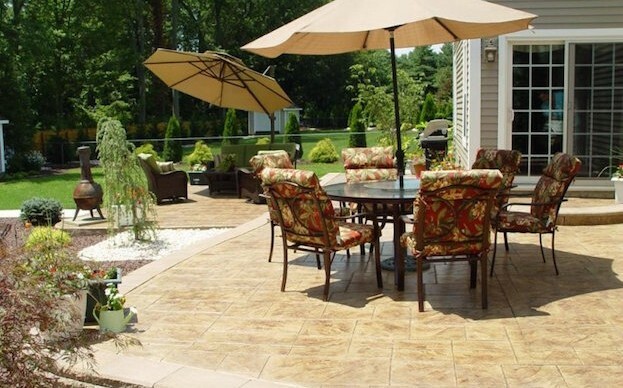 Stamped Concrete has become a popular choice among many homeowners because of its affordability and wide selection of options including concrete patterns and concrete colors. The cost of colored or stamped concrete is often much lower than the materials it substitutes for such as slate, flagstone and brick. Stamp concrete is a great cost-effective solution if you are on a budget and want to replicate the more expensive materials without spending as much. When choosing concrete colors and patterns for your new patio, walkway, or pool deck make sure that it blends in nicely with concrete elements at your home. Our stamped concrete specialist can walk you through the best solution for you by coming to your home, measuring the area and letting you know what option is best for you! Please call 732-972-3377 for a free estimate today! 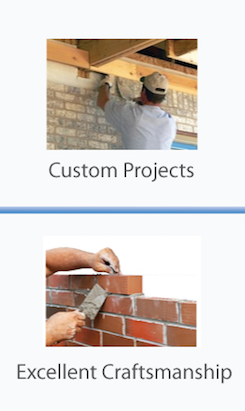 Please describe your project or ask us any questions below! We serve Monmouth, Middlesex and Ocean County in NJ!